Replacement: None. We are no longer carrying this board. This page is for reference only. 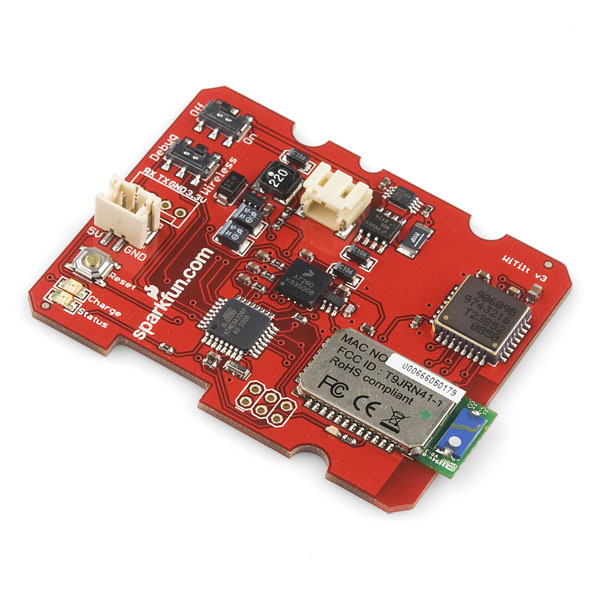 We've combined the triple axis accelerometer sensor from Freescale MMA7361 with the Bluetooth module from Roving Networks. What do you get? 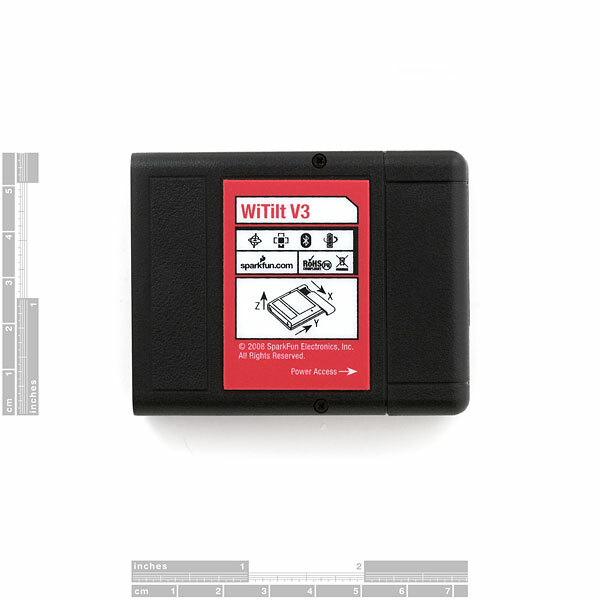 The new, WiTilt v3 complete* wireless *Accelerometer Measurement System. 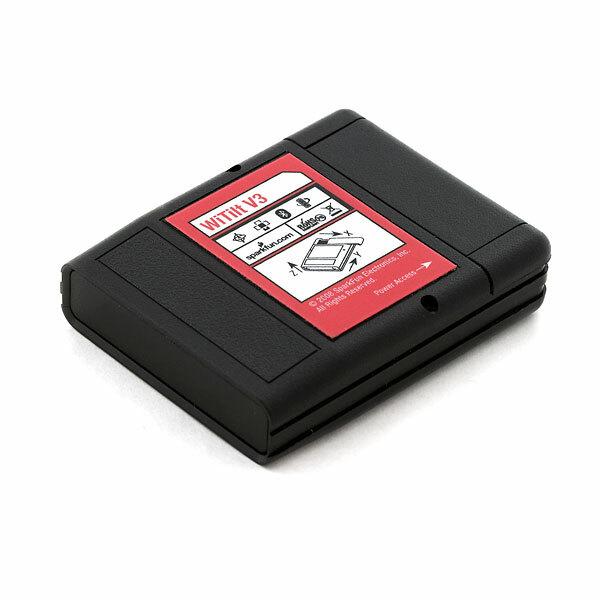 All measurements are transmitted via a wireless Class 1 Bluetooth**® **link that is extremely easy to use with a range of 100m (330ft) line-of-sight and 30m (100ft) in doors. Output in ASCII/Binary/HEX at 57600bps. Bluetooth**® **connection can be reconfigured for slower communication rates. Individual measurement channels can be turned on or off. The unit can be setup to report only when a minimum value is broken (threshold). WiTilt v3 has a built in battery and roughly 12 hours of run time on a full charge. 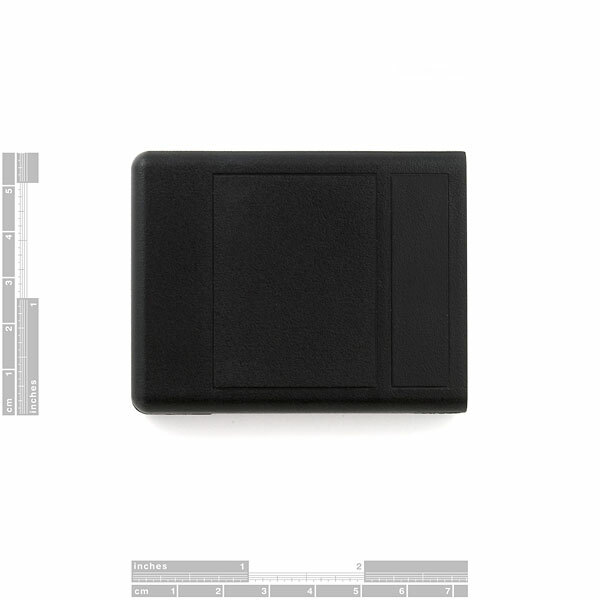 You will want to remember to order the extra connector, and wall adapter to charge your battery. These units have a charger built in, so all you need is Wall Adapter Power Supply - 5VDC 1A, and a Barrel Jack to 2-pin JST adapter. Having a hard time picking an IMU? Our Accelerometer, Gyro, and IMU Buying Guide might help! Note: The datasheet for this product cites the accelerometer IC that was used in the previous version of the board. 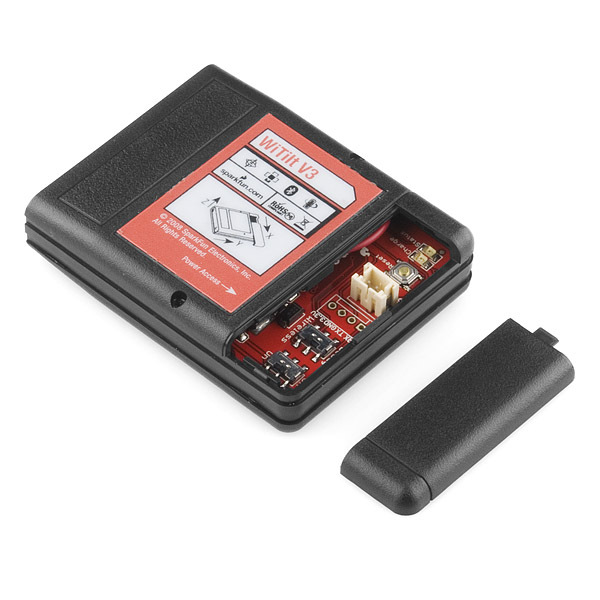 The board now runs the MMA7361, as per the product description, and the current firmware supports the new IC. There should be, however, no changes to the functionality of the WiTilt from the previous version. 2.20 x 2.81 x 0.73"
Will the WiTilt pair to an Android device? 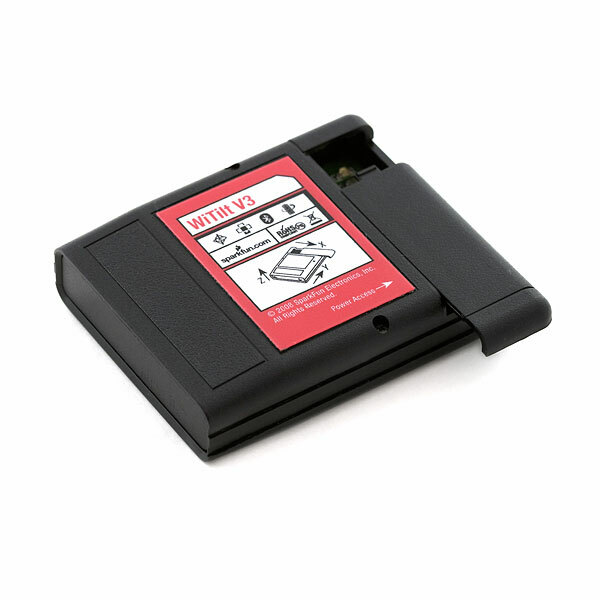 Are there any off the shelf apps that will allow you to read the serial output from this device on an Android device? I haven't been able to get it to connect to my phone (Evo 4G). Will the Bluetooth channel and other software support two of these units in operation simultaneously on a single PC? 3. The Witilt is called "Firefly". pair to it using the passcode, then quit. Note that WiTilt is not really connected yet even though it says it is. 4. click on "Open Bluetooth Preferences" under the bluetooth menu. 5. click on the Firefly, and down at the bottom of the menu, right click the settings button and select "edit serial port". The WiTilt connects as soon as you open up this menu. 8. click "settings", then modem preferences. the name you set in step 6 should be listed as an option in the "serial port" menu. select it as the serial port. clear any "Modem setup strings". click "ok"
9. exit that menu, click "settings", and "connection"
12. reset the Witilt, and you should see the main menu come up in ZTerm!